You are all set to host the ultimate sports party, the barbecue grill is out, your favorite ladder toss game is set up - but you don't have enough bolas!! Don't fret, our set of 6 bolas are compatible with all our Ladderball games. These bolas are manufactured with a soft but strong material for safety. Each bola includes just the right amount of weight to allow them to play just like real golf balls. 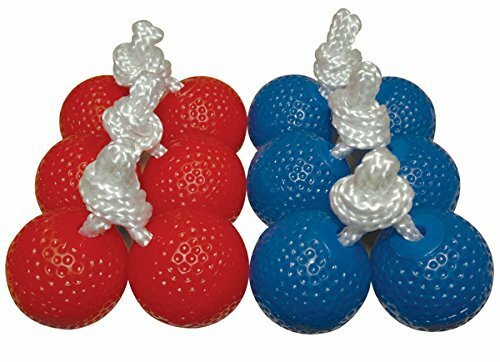 Let all your guests enjoy America's favorite yard game with these additional bolas. If you are looking for both performance and safety in your bolas, then these are the bolas you have been looking for! Comes with a full set of red and blue bolas. Check out our other single set colors.